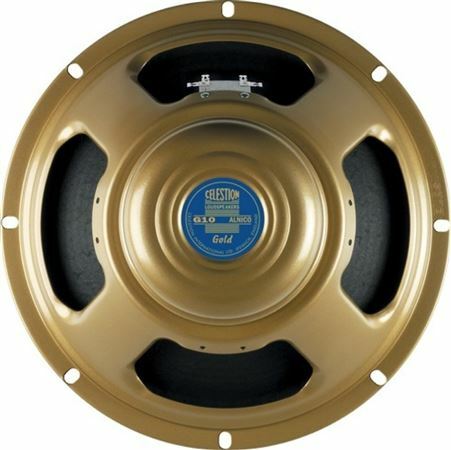 Shop Celestion G10 Gold 10 Inch Guitar Speaker 40 Watts from AMS with 0% Interest Payment Plans and Free Shipping. 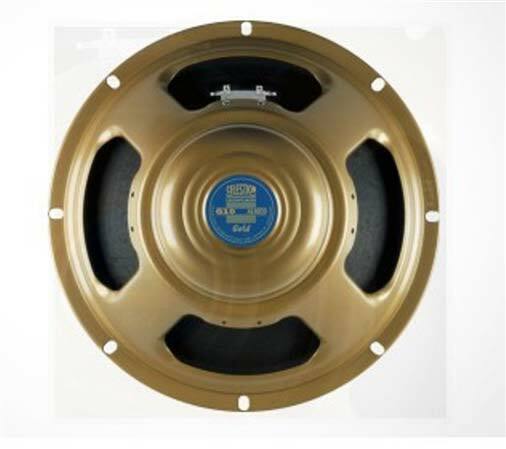 The Celestion G10 Gold Replacement Guitar Speaker conveys the Alnico mellowness of the original Blue, with the speed and response of a 10 inch driver! 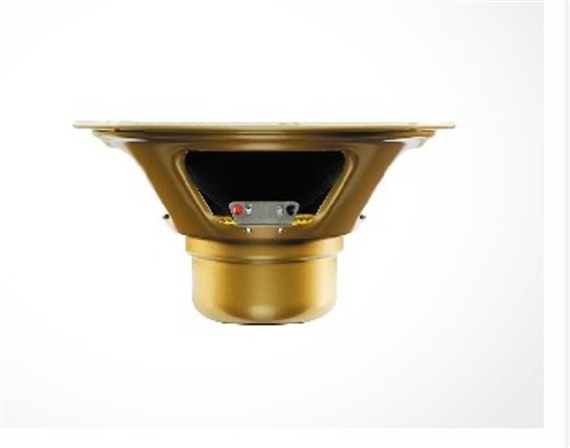 The G10 Gold is the ultimate 10 inch speaker, blending unmistakable Alnico class with a rich low-end, creamy midrange and vintage chiming top-end. Springy, warm, revealing and highly expressive, it can be used singly or in pairs to add a classy sheen to any amp, or in a 4x10 configuration for higher volume depth, warmth and shimmer. So far I don't hear anything special about the G10 Gold. This replaced a 1971 CTS replacement speaker that was in my 1963 Princeton 6G2 when I purchased the amp. It is more efficient so I do get the volume I was hoping to get. It also breaks up much less and later, which is also good. However, it still sounds a bit dry and lifeless. Admittedly, I only have about a dozen hours of break in time so far, but I haven't noticed any change yet. I love the sound of my Celestion blue 2x12. I was hoping the Gold would be in the same ballpark, but so far no. It is an improvement over the CTS, and it does sound decent. It is just not blowing me away the way my blues did. I'll continue to break it in and report back if the sound improves. The warmest, most crystal clear, and loudest, guitar speaker there is! With a sensitivity of 98 db,my 25 watt Fender Champion goes right up there with the best. Extremely well made, and heavy. And a 5 year warranty. Bass heavy, but that's good, cause you can ramp up the mids and treble more, giving a tighter sound. Not too bad in Long Beach, N.Y.